Shirt industry and marketing, these are the topics we discussed with Anna Maria Cerutti, who over the years has gained knowledge about the shirt industry, with experiences in the main fashion cities, from London to New York. 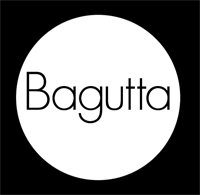 The sales director of the brand Bagutta has worked for many internationally known shirt companies, learning all the strategies used in different markets all around the globe. These experiences now help her appreciate quality garments, fabrics and traditional craftmanship that characterize Italian shirts, giving her an edge when promoting Bagutta‘s collections anywhere in the world. Can you tell us about your job and of the experiences that pushed you to do what you do. I want to state that since I was a child I was fascinated by the entire world and my greatest desire was to travel so that I could meet new people, see new places and cultures. Therefore… since I was leaving to London at the age of 18 to today, the work that suits me like a glove is the one I love and keen on for the same reasons. I’ve been working in the fantastic world of clothing 30-plus years and right now I am in charge of the Commercial Department of CIT SpA. My experience starts in London as a sales assistant in a boutique that specialized in the world of women’s prêt-à-porter, while I kept improving on my English skills. So in a short period of time I became a Buyer and a Manager of the London Boutique called Harabel’s, where in the eighties I discovered and had the pleasure to collaborate with some of the most important designers, such as Versace, Lagerfeld, Cavalli, Gaultier, Mugler, Montana and so on. My experience in retail continued in the big apple, in New York where at the age of 25 I opened my Boutique Alma in the Madison Avenue still dealing with high end designer clothing. You have been working in the shirt industry for many years now, is there a specific reason that inspired you to choose this field? Actually in New York during a social event I had the pleasure to meet the founder and owner of the then German shirt industry leader Van Laack, Mr. Rolf Hoffman, a great man of culture, art lover and a collector of fine artworks of modern artists. Mr. Hoffman introduced me to the charming world of shirts, which he treated as if they were true jewellery made with almost maniacal perfection. So begins my journey in the world of shirts, thanks to the exceptional teacher who then gave me the opportunity (which I took with enthusiasm mainly because it led me to learn more about America, from North to South) to become the Sales Director in the USA and Canada. This experience becomes my destiny…to be followed by other companies that specialize in shirts for men and women (Robert Friedman, Marol, Eton) once returned to Italy. You have worked for many international companies, we are curious to find out how do they differ from Italian shirt companies? As mentioned above, I had the honor of working with Van Laack, which at the time was and was called “the Rolls Royce of shirts”, where I learned the culture of perfection of classic shirts. Whereas in my recent past, I have had the pleasure of working with Eton, a Swedish company that has a modern approach to the markets with great marketing strategies. The North European approach is very different, speaking of shirts, they tend to focus on the culture of the shirt industry for a businessman or a politician who always requires an impeccable look, with a product that has a stiffer collar and fabrics made with non-iron finishings to guarantee a long life to the garment. Finally, with Eton, my recent experience, I learned the importance of targeted marketing and communiaction. Italian collections instead, Bagutta‘s in particular as I identify myself with it the most, continue to stand out for a constant research of styles, washes and the almost empty collars, which give a maximum and pleasant comfort and a look that’s always updated in volumes. How do you see the future of Italian shirt industry and especially of the Made in Italy? What are the challenges ahead? In Italy we have the best producers of cotton and therefore greater opportunities to design research for our shirt collections. This passion for everything related to DESIGN makes the creative part something that only we can offer and a more and more handmade and therefore less industrial manufacturing will be a key challenge in the future of Made in Italy. In addition, also marketing strategies targeted to an international and increasingly globalized market, play a huge part. Finally, in your opinion, what elements make a quality shirt? I would say the possibility to work with high quality fabrics/cottons, perhaps two ply, buttons made of mother-of-pearl, almost tailored finishings and a continuous research of precious details, are the elements that make a high quality shirt. 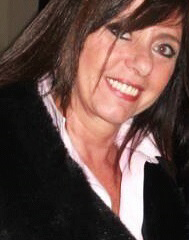 In conclusion, we would like to thank Anna Maria Cerutti for the interview!